Lakshmi Sarma Ramani joined the firm in 2017 and brings almost 20 years of significant transactional experience on behalf of for-profit and non-profit companies. In addition to handling a broad range of commercial contracts and day-to-day legal issues, Lakshmi regularly works with global clients on cross-border matters, as well as on agreements between public and private entities. 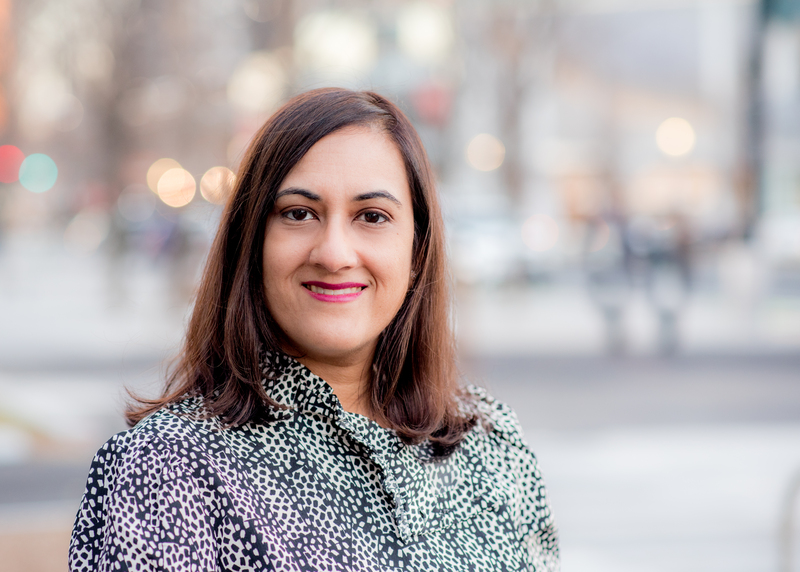 Lakshmi's clients value her ability to deliver practical legal advice in a clear and understandable way so that they can reach their business goals while appropriately understanding and assessing potential risks. Her clients at Outside GC include Everybody Water, American Counseling Association, American Friends of the Hebrew University, American Technion Society, NACWA, Partnership for Transportation Innovation and Opportunity, Partnership for a Healthier America, Children's National Hospital/Safe Kids and The Optical Society. Before joining Outside GC, Lakshmi served as General Counsel and Assistant Secretary at the National Association for the Education of Young Children (NAEYC), where she was responsible for all legal, compliance and privacy matters for the largest early childhood professional association and the largest early childhood program and higher educational degree accrediting organization in the country. At NAEYC, Lakshmi negotiated a range of agreements with public and private parties, handled the legal aspects of strategic initiatives and worked side by side with the CEO and the boards of directors, as well as 2 accrediting bodies, serving as a close advisor on strategic and operational matters. Lakshmi was a key partner in overhauling NAEYC’s governance and operational policies and procedures, and served as the executive liaison to the newly formed Audit Committee. Prior to NAEYC, Lakshmi served as the lead global attorney for all cybersecurity, privacy, tax, finance, technology, marketing, membership and fundraising matters at The Nature Conservancy (TNC), where she also managed various legal and regulatory compliance matters. Lakshmi began her legal career as an attorney with the Pennsylvania Office of General Counsel, assigned to the Pennsylvania Department of Revenue, where she advised on personal income tax, sales and use tax and realty transfer tax matters. Lakshmi also worked at the law firm, Tillinghast Licht, LLP, where she was a member of the Firm's Public Finance and Tax Departments. Her practice focused primarily on structuring and implementing multi-million-dollar tax-exempt bond transactions throughout the state of Rhode Island. Lakshmi holds a B.A. from Clark University and a J.D. from the Temple University Beasley School of Law, where she was Managing Editor of the Temple International and Comparative Law Journal. She is a graduate of The Mercersburg Academy, whose alumni include Jimmy Stewart and Benicio del Toro. Lakshmi is a member of the bar in the District of Columbia, Pennsylvania, New Jersey and Rhode Island (inactive) and is also admitted to practice in the U.S. District Court for the Middle District of Pennsylvania and the US. District Court for the District of New Jersey. Lakshmi is active in community affairs, writing a monthly column for the Association of Corporate Counsel Docket magazine, serving on the IRS' TEGE Tax Exempt Organization Council. She is also a Girl Scout troop leader to a fearless group of girls. Lakshmi lives in Maryland with her husband, 2 daughters and rescue dog, Coco. When not working to help her clients meet their goals, she enjoys cooking and gardening, as well as visiting national parks and dusting off her college a cappella skills to sing karaoke with her family.